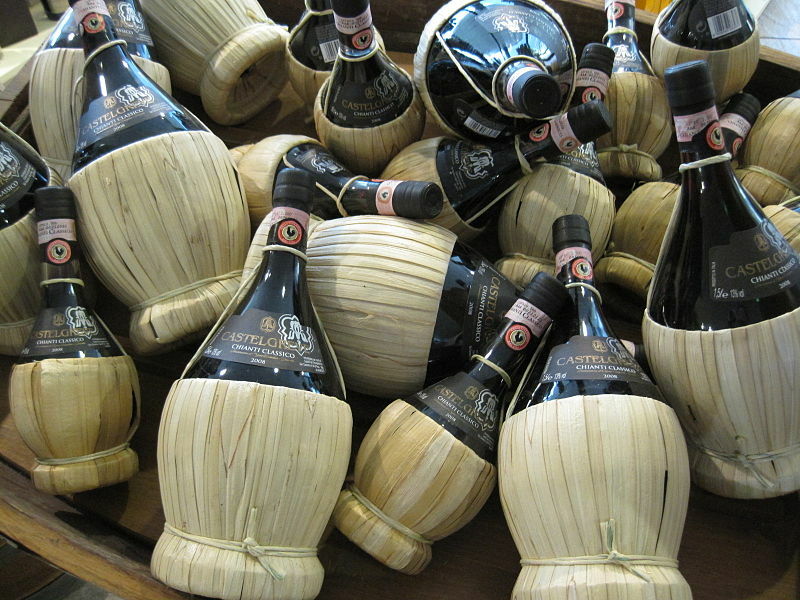 The original, genuine, pulsing heart of Chianti is known as Chianti Classico and stretches between Florence and Siena. Located entirely within the boundaries of this region are Castellina in Chianti, Gaiole in Chianti, Greve in Chianti and Radda in Chianti, whereas Barberino Val d’Elsa, San Casciano in Val di Pesa, Tavarnelle Val di Pesa, Castelnuovo Berardenga and Poggibonsi are only partially included. 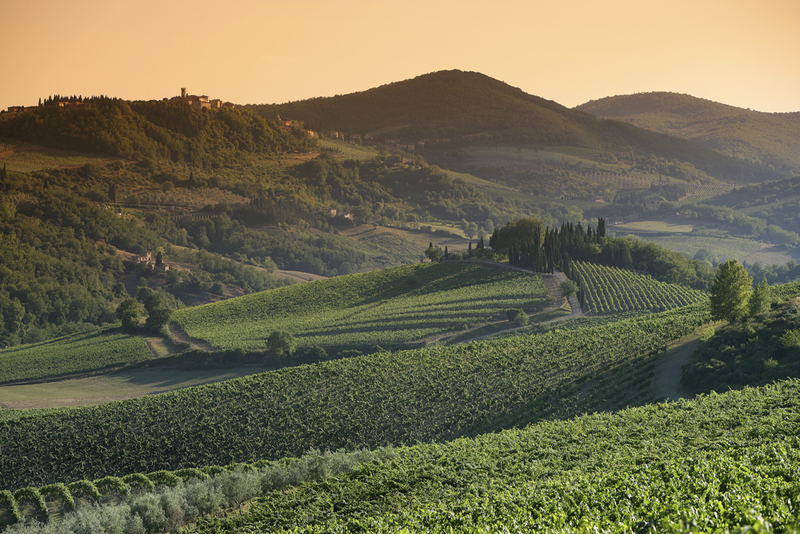 With varying soil and geography, and altitudes ranging from 250 to 610 m, this small wine-region has different macroclimates yet produces one of the best-known and appreciated wines of the world: the Chianti Classico Wine. Produced since Etruscan time, for over 2000 years, this Sangiovese-based floral, cherry wine with light nutty notes is listed among the Super Tuscans. What makes this wine recognizable is the unmistakable label with the Black Rooster seal. Legend has it that to conclude the endless dispute on boundaries between Florence and Siena, a challenge between knights was decided. They were to leave their hometowns at cockcrow and ride towards each other, where they would meet would definitely be determined as the border between the two republics. While in Siena they chose a fat, white rooster, the crafty Florentines picked a skinny black one and apparently never fed it so that on the fateful day it crowed before sunrise. This way the Florentine knight set out early and met his adverse party at just 12 km from Siena. Whatever the legend, the black rooster has always represented the historic Chianti League ruling these lands since the beginning of the 14th century. 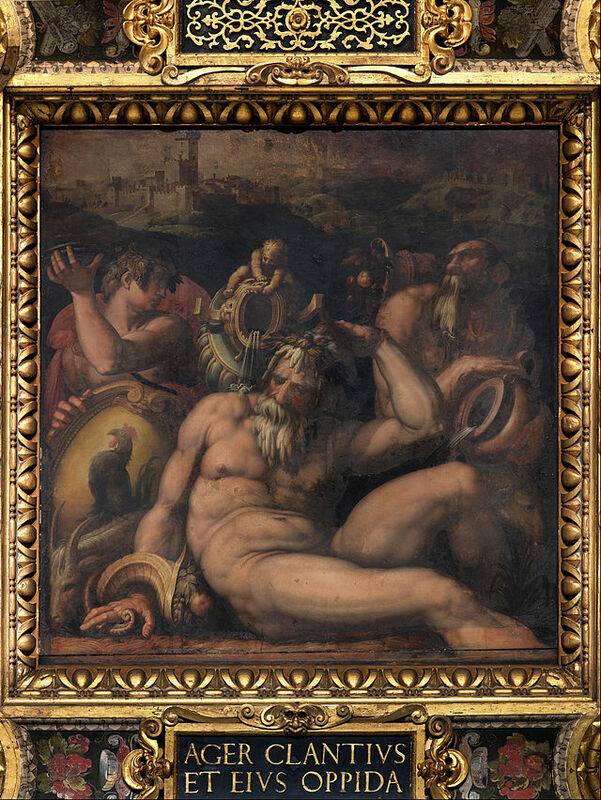 Giorgio Vasari himself painted the black rooster on the ceiling of the Salone dei Cinquecento in Palazzo Vecchio, as an allegorical representation of the Chianti region. The Consorzio del Vino Chianti Classico, a union of producers, eventually selected this ancient symbol to certificate its wines. 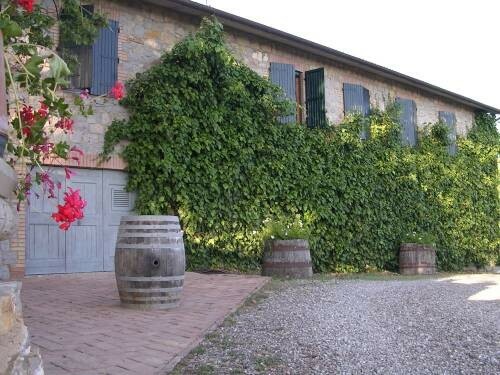 Set in this beautiful, luxuriant region, near the medieval village of Vagliagli, at just 8 km from Siena, is a wine estate with holiday apartments. 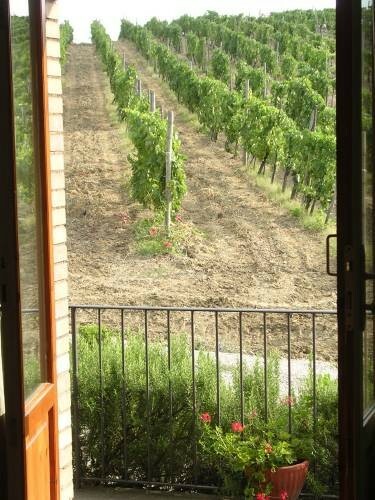 Of the 22 hectares of land, 10 are vineyards and 2 olive groves. 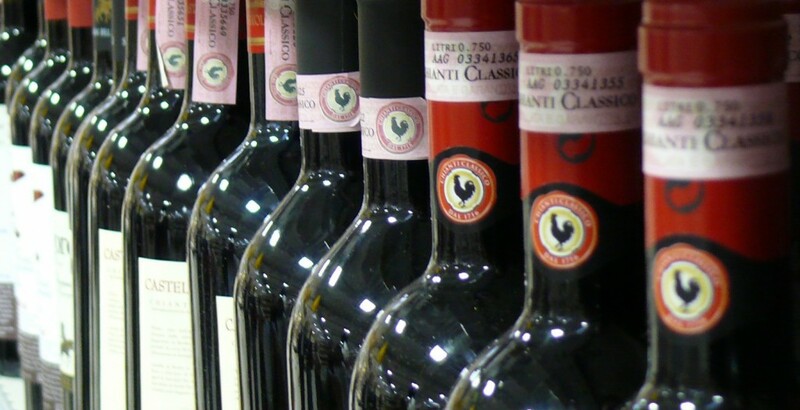 The winery produces every year 40 thousand bottles of Chianti Classico wine, grappa, vinsanto and even extra virgin olive oil. Inside the estate four farmhouses have been converted into 9 charming flats which preserve the typical Tuscan terracotta floor tiles, wooden beamed ceilings and lovely stone walls. Certainly an excellent location for wine lovers. Questa voce è stata pubblicata in Accommodations in Tuscany, Culture and accommodations in Tuscany, Tuscan food and wine, Tuscan lifestyle e contrassegnata con Barberino Val d'Elsa, Castellina in Chianti, Castelnuovo Berardenga, Chianti, Chianti Classico, Chianti Classico Gallo Nero, Florence, Gaiole in Chianti, Giorgio Vasari, Greve in Chianti, Poggibonsi, Radda in Chianti, San Casciano in Val di Pesa, Siena, Super Tuscans, Tavarnelle Val di Pesa, Vagliagli. Contrassegna il permalink.